Chancellor Angela Merkel‘s Bavarian allies suffered their worst election result since 1950 on Sunday, bleeding votes to the far-right in a setback that immediately raised tensions within Germany’s crisis-prone national government. The Christian Social Union (CSU) won 35.6 percent of the vote, preliminary results showed, losing its absolute majority for only the second time since 1962 – an outcome sure to stoke infighting in the conservative party, already a difficult partner for Merkel in Berlin. “Of course, today is not an easy day for the CSU. We did not achieve a good result,” Bavarian premier Markus Soeder told a gathering of his party. “We accept the result with humility,” he said, adding that the CSU nonetheless wanted to form a stable government as soon as possible. 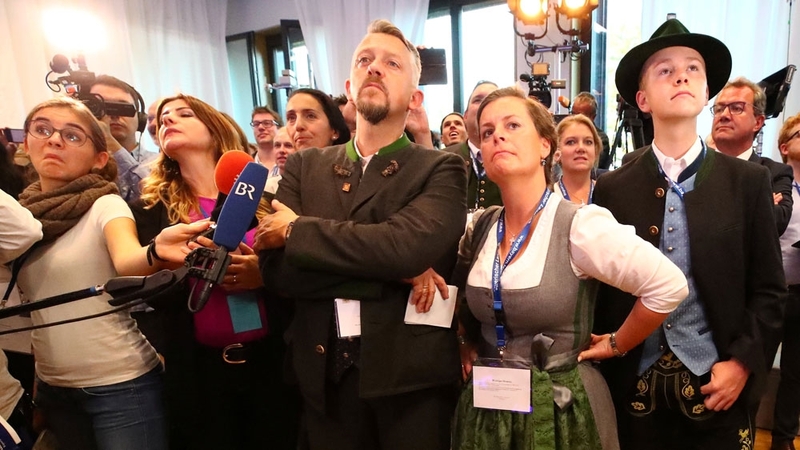 The result, which saw the pro-immigration Greens come second and the far-right Alternative for Germany (AfD) enter the state assembly for the first time, means the CSU will need to form a coalition – a humiliation for a party used to ruling alone. The Greens, who more than doubled their share of the vote to 18.3 percent, attracted support from more liberal CSU voters and from those who traditionally vote for the left-leaning Social Democrats (SPD), who won just 9.7 percent. “The political earthquake was in Bavaria, but the aftershocks will be felt in Berlin … Talk will increase ever more about the end of the Merkel era,” said Fred Kempe, president of the Washington-based Atlantic Council think-tank. Without naming Merkel, SPD leader Andrea Nahles said the “poor performance” of the federal government in Berlin was one of the reasons for her party’s weak showing in Bavaria. “It’s clear that something has to change,” she said. CSU leader Horst Seehofer has been a thorn in Merkel’s side since her 2015 decision to open Germany‘s borders to more than one million migrants, gradually shifting his party to the right in an ultimately futile effort to counter the rise of the AfD. Michael Weigl, political scientist at the University of Passau, said personal attacks on Merkel by Seehofer – who is the federal interior minister – and his hardline rhetoric against asylum seekers were to blame for the CSU’s weak result. Asked if he would resign as CSU leader, Seehofer told ZDF broadcaster that he was not ruling it out but there were many reasons for the party’s weak result which now had to be analysed prudently. The AfD won 10.9 percent of the vote, the preliminary results showed. The Free Voters, a protest party that is the CSU’s most likely coalition party, won 11.6 percent. The CSU has ruled out an alliance with the AfD. Divisions between Merkel’s Christian Democratic Union and the CSU – conservative sister parties – have widened further since an inconclusive national election forced them into a coalition in March with the Social Democrats. The Bavarian election is followed in two weeks by another test for Merkel’s conservative alliance: her CDU is likely to remain the largest party but lose votes in an election in the western state of Hesse, home to the financial centre of Frankfurt. The CDU then holds its annual congress in December, when Merkel will seek re-election as party chairwoman – a bid senior conservatives have backed despite the parliamentary party removing her ally, Volker Kauder, as leader last month. Before the Bavarian vote, Merkel urged her CDU and CSU allies to end their infighting. Her fourth and probably final government has already come close to collapsing twice, in arguments over immigration and a scandal over Germany’s former domestic spymaster, while simmering rows over phasing out polluting diesel cars and whether to lower taxes for the rich threaten to boil over.